detonating dynamite—a genius that lived before folks talked about bipolar, instead they called him peculiar. 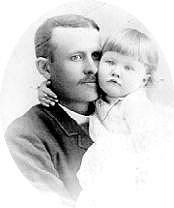 followed with bouts of depression, led in 1885 to Post suffering his first nervous breakdown. 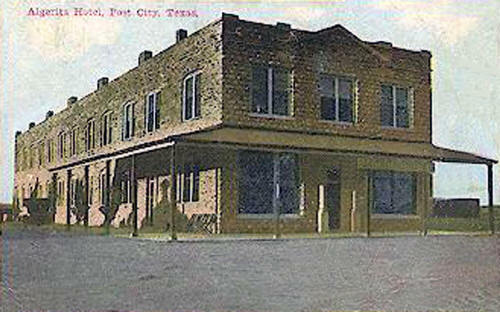 Leaving his stressful manufacturing occupation, Post moved his family to Fort Worth in 1886 where he bought a 200-acre ranch, began a real estate development company that laid out streets, built homes, and constructed a woolen mill and a paper mill. A second breakdown came in 1891, followed by extensive travel in search of a cure. Post entered a sanitarium in Battle Creek, Michigan, run by John Harvey Kellogg, a medical doctor who used holistic treatments that focused on nutrition, enemas, and exercise. 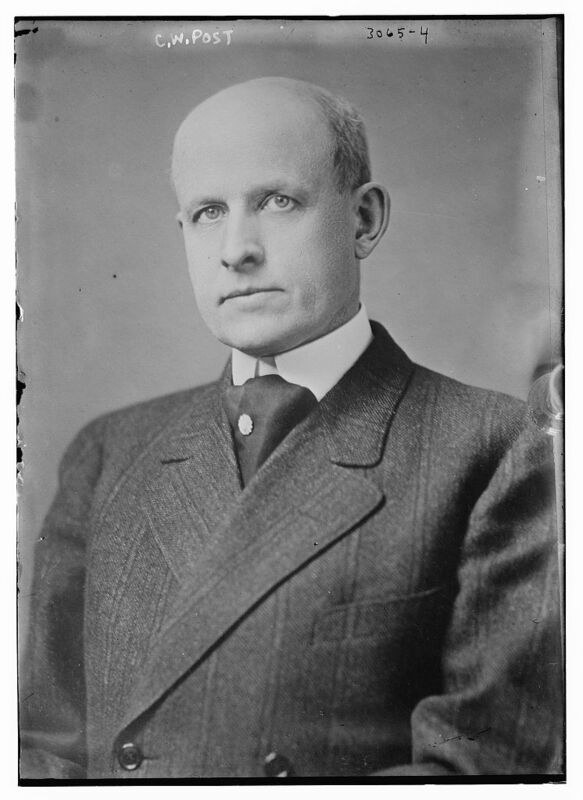 Dr. Kellogg, along with his brother, invented corn flakes as a breakfast cereal. Following Dr. Kellogg’s regime, Post soon recuperated, and because he decided that coffee was poison, he devised a breakfast cereal drink called Postum. In 1897 he created Grape Nuts cereal and in 1904 he called his new corn flakes Elijah’s Manna until the religious community complained. The name soon became Post Toasties. Post and his wife, after living apart for several years, divorced the same year that Post Toasties hit the market, and Post remarried before the year was out. His breakfast foods business was raking in millions. 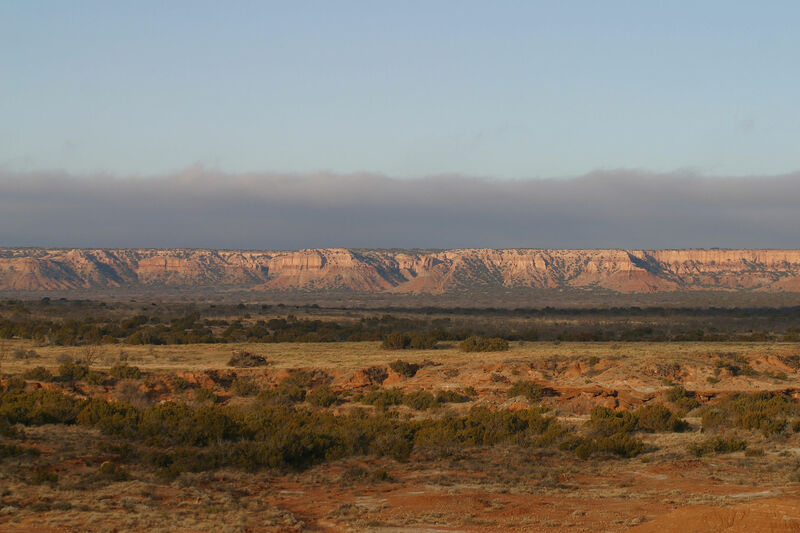 Advised by his doctor to move to a drier climate, Post bought 225,000 acres of ranchland and platted his vision of a model town in the Texas Panhandle at the foot of the Llano Estacado, or Caprock, one of the largest mesas or tablelands on the North American Continent. unsuccessfully, to force the workmen whom he hired from the surrounding ranches to eat his special breakfast diet. He paid excellent wages, but he expected the same level of perfection from those who worked for him as he demanded of himself. Parks sprouted around town, Bermuda grass covered the lawns, and orchards began producing fruit. Determined to keep out the bad element, Post hired someone to see that his model community did not serve alcohol in any establishment, and if a business did not follow the guidelines, it was shut down immediately. Brothels, of course, were not permitted. Two big problems plagued the place—water and weather. 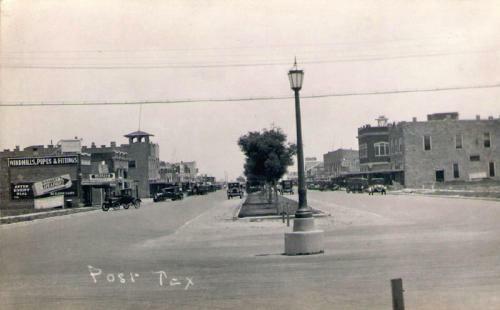 Post had wells and reservoirs dug, hauled and piped water from the top of the Caprock, all without sufficient success to meet the needs of the growing community. Stories he had read of the rainstorms that occurred after major battles in the Napoleonic Wars and the tales that Civil War veterans told of rain following heavy cannon fire, led to his rainmaking experiments. In 1910 he tried attaching two pounds of dynamite to a kite and igniting it, then decided that was too dangerous. He placed four-pound dynamite charges along the rim of the Caprock and detonated one every four minutes for several hours. In 1912, Post exploded 24,000 pounds of dynamite and a little rain fell after that battle, as Post called each effort to force rain from the clouds. Success was intermittent—sometimes light rain fell, other times it did not. He had almost instant rain after he placed 3,000 pounds of dynamite in 1,500 sticks; however, critics said Post held his experiments during the time of the year when rain usually fell. By 1914 Post was again suffering from overwork, exhaustion, and abdominal pains. He remained at his California home, claiming to wean his town from his constant attention. The public realized for the first time that Post was not well when he cancelled a speech in New York that he was scheduled to deliver denouncing President Woodrow Wilson’s income tax law. In March, a private railroad car raced from California to Mayo Clinic in Rochester, Minnesota, where Post had surgery for acute appendicitis. The surgery was called successful, but after Post returned to his California home, his health did not improve. Believing he had stomach cancer, Post committed suicide on May 9, 1914, some accounts say from a gunshot wound. 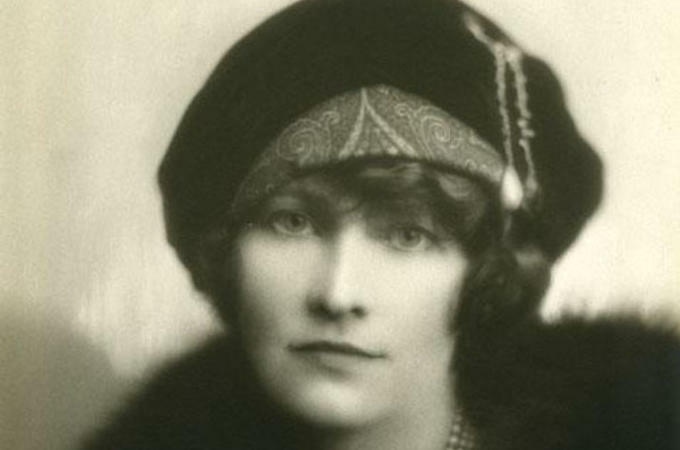 Marjorie Merriweather Post, his twenty-seven-year-old daughter, inherited his businesses and his vast fortune—one of the largest of the early twentieth century. She used her business acumen, which she had learned at the side of her father, to expand his enterprises into the General Foods Corporation, becoming the wealthiest woman in America. She lived the lavish life of a socialite, an art collector, and an internationally recognized philanthropist. What ? no brothels ?!? Thank you Ms Myra! Marjorie was quite a looker! I knew that no brothels would get attention. Yes, Marjorie was very beautiful and smart, too. Thank you John, for reading. i knew a little bit about Post before i read this, Myra, but now i know a great deal more thanks to your excellent detail. Thank you for sharing your learning, i’m much the better for it.